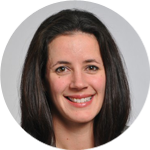 Rachel is a Chartered Professional Accountant and Tax Partner with BDO Canada LLP out of Toronto. She assists clients in reorganizations to help minimize taxes, business succession & estate planning, retirement planning, purchases and sales of businesses, asset protection and determining optimal shareholder remuneration strategies. Rachel is a member of the Toronto Centre CRA and Tax Professionals Group, the Canadian Tax Foundation’s Ontario Conference Program Committee and the Toronto Estate Planning Council. She is also active in tax education including lecturing and tutorial leading for the Chartered Professional Accountants of Canada (CPA) tax conferences and courses, the Canadian Tax Foundation’s conferences, and BDO’s national and regional tax conferences and courses.